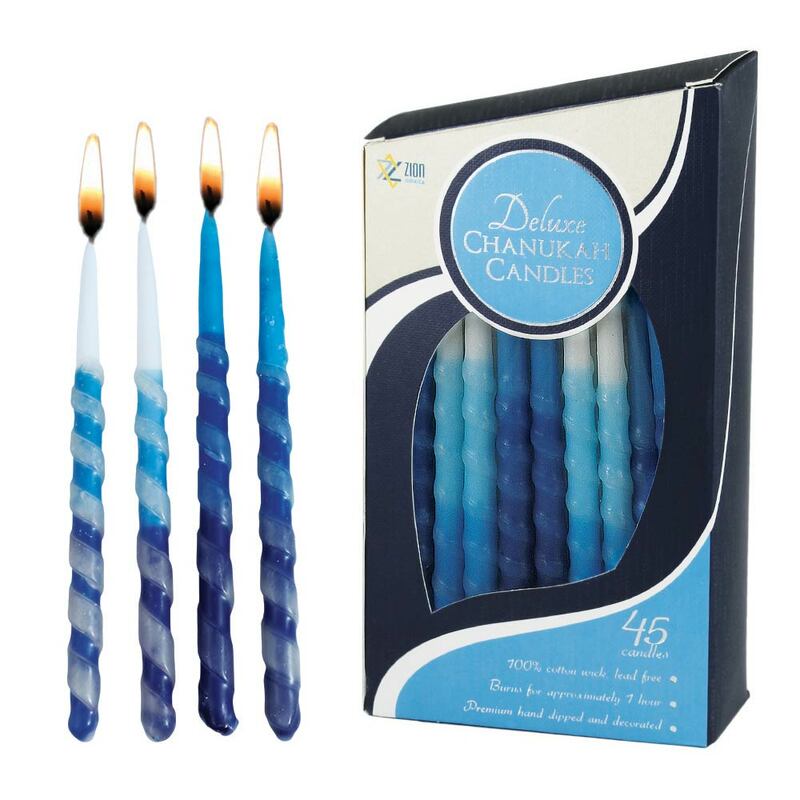 New luxurious Hanukkah candles with an extensive hand decorated band. These freshly designed Chanukah candles will add sparkle and beauty to any Menorah. A combination of blue shades to enhance your Menorah like never before. Bring joy and glow into your Home with these clean burning dripless candles. New Enhanced stylish box, textured paper with Silver embossings.